I've got the cruise booked for the wedding as well as the wedding- October 28th. We will have to stop at the courthouse in Key West the same day of and get our papers all filled out and made a note to remember to bring our rings as well. With packing for a trip one always has to remember not to forget this and that. 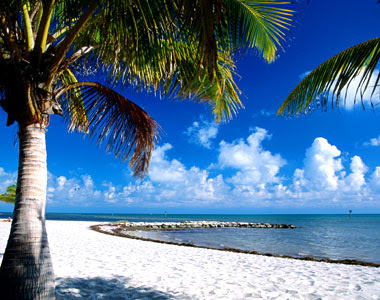 We will be getting married on Smather's Beach in Key West. My dream wedding. ( Still have to find a wedding song). I have hired a photographer as well. Cost of wedding cermemony, our flowers and pictures- $504.A video would have been nice but at $300+, we'll have to pass. We are looking at air right now but the flights into Miami from here are not what we like, so we may look at flying out of another airport. I could find more of what I want if I want to pay more- but who wants to pay more?? I still have to find a dress and would love to review a wedding dress.Something simple. The ceremony is only to be 10-15 minutes with the photos taking another half hour+. Gerry has clothes already he can wear. I will be reviewing a pair of wedding flip flops too and can't wait till they arrive. I'll tell you all about them! Has anyone else been married on a beach? wearing? Is it casual attire? I have seen many caual attire's here, not many wearing a wedding dress,if it is more island style, go with a white gauze swirly dress and top. The men look good in black/kaki pants and a white linen shirt to match yours. Remember simple is better so your attire matches the setting. Hope I helped you. Good luck sounds wonderful ! Never been to Hawaii- maybe some day.I'm not the best on planes. Yes, we both will be wearing casual clothes. I will definately post most as time goes on.Thanks for your comment. I was married in Maui!! But shop around for someone to do the video it's well worth it! I didn't wear the white wedding dress I opted for dressing in a cute dress I purchased in Hawaii my bridesmaid too, my dress was $100. We had the video done and ended with sunset walking down the beach & choose the Hawaiian wedding song, like you I wore a flip flop sandal, afterward we rented a limo and went for dinner I totally loved it, that was 20 years ago. Yes, with inflation I doubt we'll find the prices of 20 years ago but will be searching around for some things yet- like the dress for sure.What did your hubby wear?